I was pretty cynical about exogenous ketones when they first came out. I’m not a big fan of pyramid schemes (they’ve killed the integrity of the nutrition industry) and a lot of the exogenous ketone supplements used these schemes as their way to gain share in the market. So it was all a bit spammy and full of no-knowledge, crap salesmen/women. There’s mounting research however, that supplementing with exogenous ketones can have a range of mental and physical benefits. People often use them to prevent the ‘Keto Flu’ when starting a low carb diet, whilst others use along with a conventional diet, to reduce inflammation and enhance cognition. Exogenous ketones are also used as an appetite suppressant by those looking to lose weight (study here on the effectiveness). You can get a bit of a crash in energy a few hours after consuming ketones, if you’re on a normal carbohydrate diet for the rest of the time. This is because ketones will tend to lower your blood sugar levels, which you won’t notice, until the ketones are depleted. I’ve tried the Perfect Keto and Keto-Pro exogenous ketones. I prefer the Keto-Pro ketones as they have the highest concentration of Beta Hydroxybuyrate. They are unflavoured, unlike Perfect Keto. Perfect Keto also contain MCT oil, which my guts don’t tolerate too well. 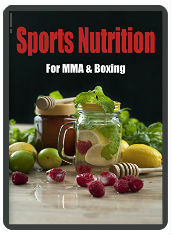 I’ve personally found targeted ketosis, a good happy medium for MMA training. Exogenous ketones can be used after training to get straight back into ketosis. For the ideal protocol regarding targeted ketosis & high-intensity training – see my post here. This entry was posted in Bodybuilding, Fitness, MMA, Nutrition and tagged crossfit, Fitness, keto diet, ketogenic diet, ketones, mma. Bookmark the permalink.